I admit, I was feeling pretty intimidated to try and “figure out” how to use the intervention feature on ScootPad. As anyone who knows me knows, I hate change. New things involve change. I know they bring new opportunities, but I am the kind who wades very slowly into the water. Looking at how many concepts my student’s don’t need intervention on has me feeling pretty good! And I was intimidated. Until I hovered over the image and realized that it simply was showing me that, overall, my kids are doing pretty well. I mean, take a look! My kids are doing fine on 324 concepts. 324! Ok, so there are 21 concepts I can work with small clusters on…that’s doable (remember, I teach K-5, so I am working with kids doing Common Core across 6 different grades). And as far as individual kids go, only 23 individuals need concept improvement work. I’m feeling pretty good about this! Assigning interventions happens with just a click! So I waded in deeper: I clicked the ‘review’ button for the 21 concepts that groups of kids need to work on. And simple as anything, I checked a box by a concept that a group (of already identified kids!) can work on. 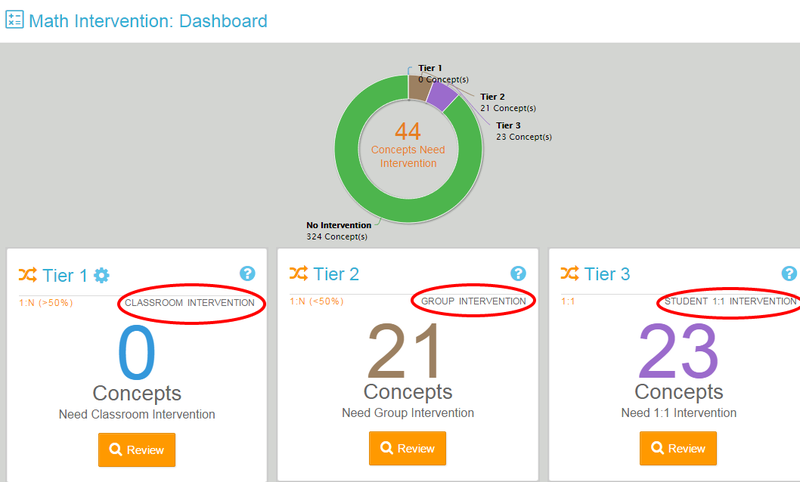 Then I clicked “assign Concept Improvement” and it auto-generated the intervention practice. That was it! Easy as pie! I wish all my lesson planning were this easy! How are you taking advantage of the intervention feature on ScootPad?